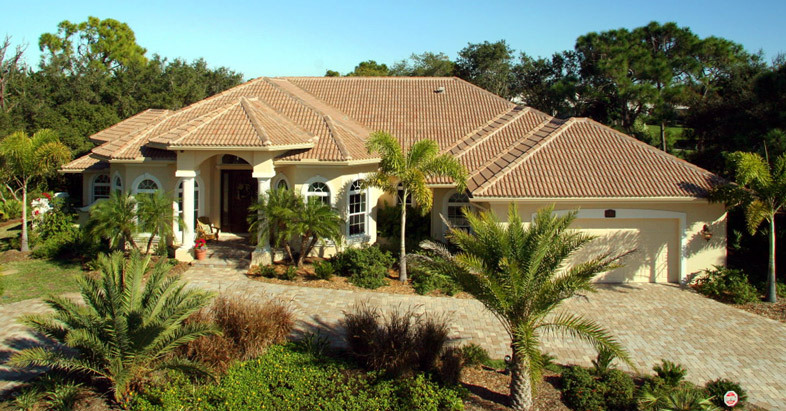 This beautiful 3/2/2 Mediterranean style home with tile roof has over 2800 sq. ft. of living space. The exterior curb appeal is exquisite from the landscaping to the architectural details. 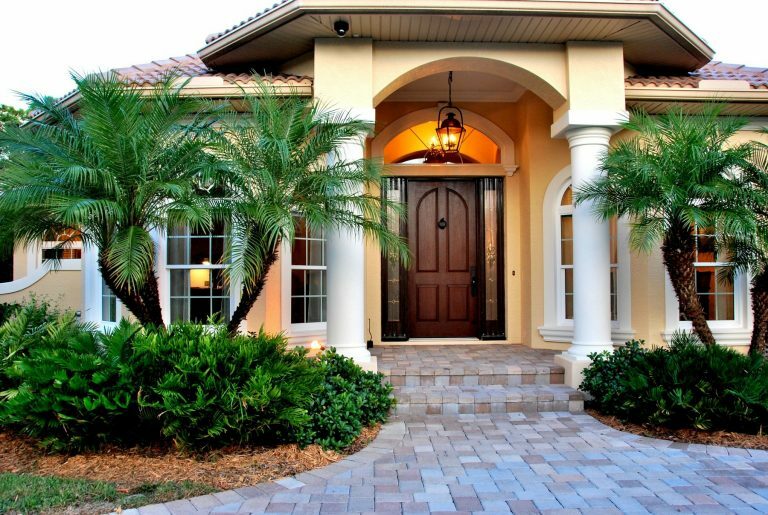 The inviting foyer, columns, arched windows, trim moldings and brick paver circular driveway draw you inside. From the moment you walk in the front door you see the attention to detail continues with step tray ceilings, recessed lighting, custom crown, base and door moldings, wood pillars and tile flooring. The open floor plan features a living room with a wet bar, dining room, den, family room and breakfast nook with an aquarium glass window overlooking the pool area. The kitchen has an abundance of beautiful custom wood cabinets, stainless steel appliances, Koehler fixtures and granite countertops. The bright and airy Master Bedroom has a large walk-in closet, a grand Master Bath with a garden tub, tiled walk-in shower with granite bench seat, double vanity with cherry wood cabinets, granite countertops and glass vessel sinks. The spacious outdoor living is an added bonus with access from the Master Suite, Living Room, Family Room and Guest Suite providing wonderful passive lighting. 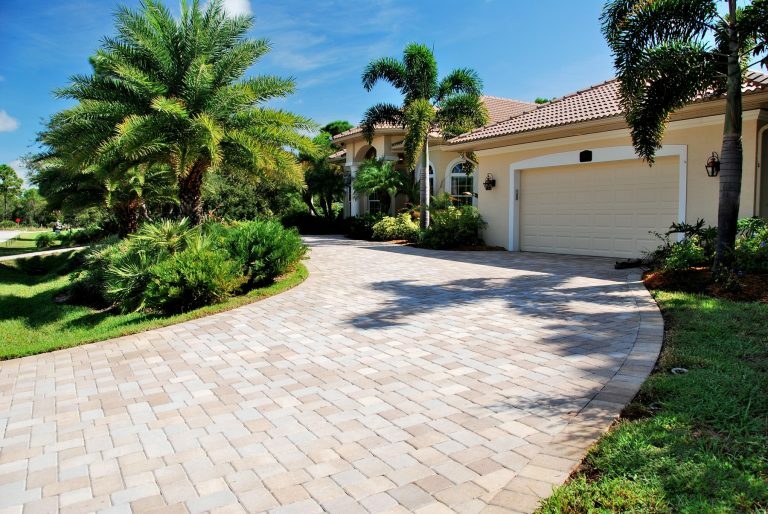 The oversized brick paver lanai and pool area allows you to relax and enjoy the beautiful outdoors year-round. Energy efficiencies have been achieved through open cell foam insulation, impact resistant low E insulated windows, foam cell fill insulation and 3/4” insulation board. This home also features a Trane variable speed HVAC system. This home is an Energy Star and FGBC Silver rated home with operating costs of approximately $2343 annually. 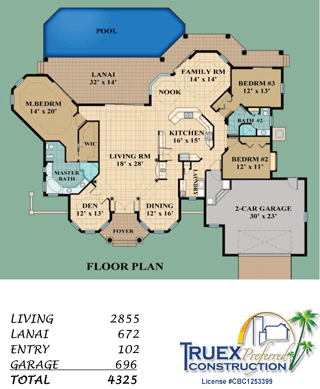 For further details and pricing call Truex Preferred Construction 941-475-6680. Energy savings features: open cell foam insulation, impact resistant low E insulated windows, foam cell fill insulation, Trane variable speed HVAC system, etc. Want Us to Build A Custom Home For You? 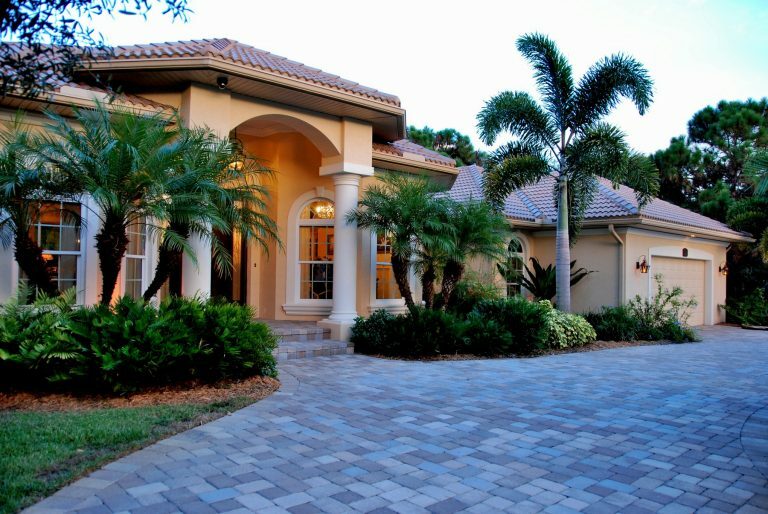 Truex Preferred Construction can make your “Dream” a reality and at the same time deliver a quality product. We’ll create a unique, custom floor plan that exactly meets your needs. 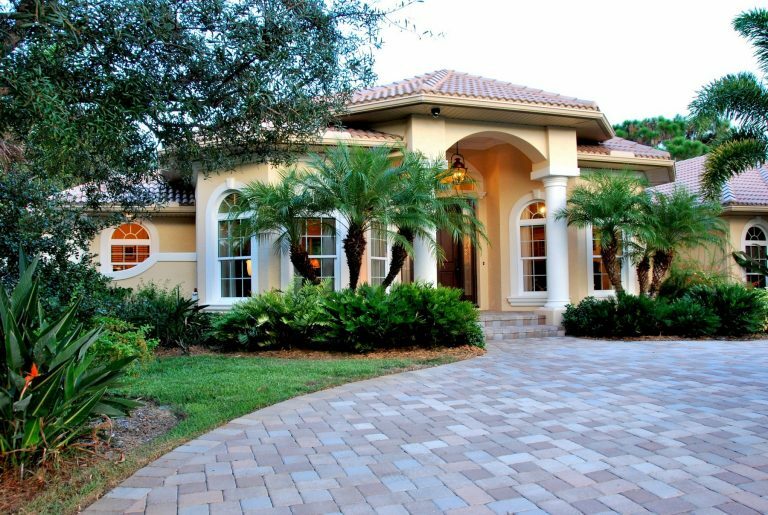 Talk to our team of professionals today about building your dream home.